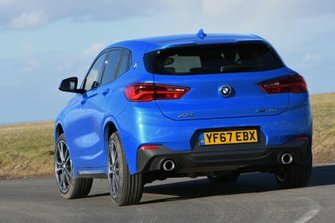 BMW X2 Interior, Sat Nav, Dashboard | What Car? 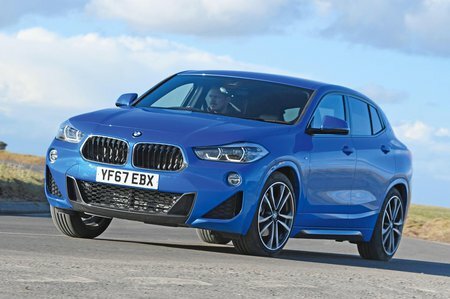 One thing we must mention is the height of the driving position; you’re not much higher off the ground than in a regular hatchback, and you might be disappointed If you’re expecting a truly commanding view of the road. Look past this and the driving position is actually a good one. The steering wheel has lots of adjustment for both reach and rake, and you can move the seat in several planes. It doesn’t matter if you’re over six foot or barely over five; you’ll be able to get comfortable. Adjustable lumbar support may only be offered optionally, but it’s reasonably priced and fitted to both the driver and passenger seat. As mentioned above, although the X2 is an SUV, occupants sit much lower than in many rivals. The low stance might add sporty appeal, but it robs the driver and passengers of a commanding view of the road ahead, which for many is the big draw of an SUV. There’s a pair of large, high-set wing mirrors, but those drivers who have to sit close to the wheel may find that they join forces with the bulky windscreen pillars to block your view when pulling out of junctions. The upswept rear window line, small rear window and thick rear pillars can also be a hindrance when reversing, although rear parking sensors are standard on all models. A reversing camera is optional, but only as part of an expensive pack. By family SUV standards, the X2 has a fantastic infotainment system. All versions come with a DAB radio, CD player, USB socket, Bluetooth and satellite navigation with traffic information. The screen is a rather small 6.5in, but the interface – a rotary selector dial surrounded by a handful of shortcut buttons – is wonderfully intuitive and conveniently positioned between the front seats. Upgrade to the Navigation Plus package and you gain an 8.8in display, wireless charging for compatible devices and a touch-sensitive pad on top of the rotary dial controller that allows you to input addresses using handwriting. You also get a full-colour head-up display that projects information, such as your speed and navigation directions, onto the windscreen in your line of sight, so you don’t need to take your eyes off the road. Although this system is pretty pricey, it is worth considering given the ease it brings. Bear in mind, though, that even if you opt for the upgraded infotainment system, you’ll still have to pay extra for Apple CarPlay, which is subscription based, and Android Auto is not even available. 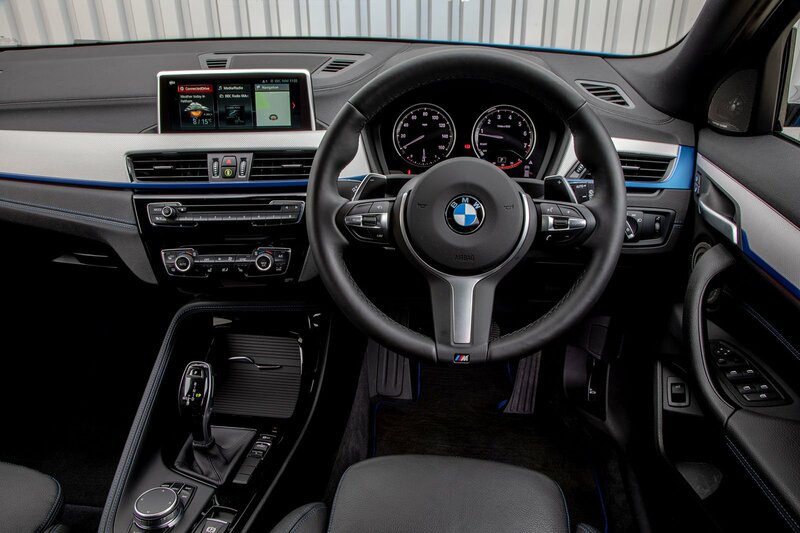 Although the overall layout of the dash is much the same as you’d find in an X1, BMW has made efforts to make it look and feel noticeably snazzier. Overall, the changes, which include decorative trim sections, contrast stitching on the seats and a faux-leather finish to the dash, make it feel even higher quality than the X1 – no mean feat as that’s one of the best-screwed-together family SUV interiors out there. There’s no doubt that the X2 is well ahead of the Mercedes-Benz GLA and Jaguar E-Pace here. In fact, it just about beats our current class favourite, the Volvo XC40, albeit by the thinnest of margins.